Lurve – This Square Peg. August 16, 2016 Categories Life, Lurve, Me, Singleton, WomanLeave a Comment on because I’m petty. Anywho, I wrote this brief essay/diatribe. Happy Tuesday. You don’t recognize me, do you? You’re doing that I’m trying to place that face squint with the head tilt to the side, as if the re-positioning of your head and narrowing of your eyes will somehow ignite the memory corner of your brain. Don’t sweat it. I know exactly who you are. What was it: about three years ago? We all have preferences and you exercised your preferential right not to be attracted to me. So you told our Yenta that you’d rather not and I said all right and we all moved on with our lives. But who is this woman standing a few feet away from me? The face is somewhat familiar, but…the woman from three years ago was a bit…chubbier? The face was a bit fuller? The physique a bit more zaftig? (Let’s be real; you’d never use that word.) But this woman is really svelte. The face: thinner. But I know that face, don’t I? But this woman is different. I can’t stop pretending not to stare at her. Hope she doesn’t notice. Oh, I notice. I see you pretending. I’m going to be Miss Petty Boots 2016 for a second: it’s because I’m hotter than you remember. I worked on my health and my fitness, and one of the pay-offs is a leaner version of the confident woman you preferentially chose to not pursue three years ago. Back then, sure, I was low-key excited at the suggestion from our Yenta that she could introduce us. After all, you smiled at me, so… (what it took back then for me to be intrigued by a fellow: a smile. *Le sigh.) And yes, my active imagination plotted our entire courtship from initial meeting to wedding day. So when our Yenta informed me shortly thereafter that you weren’t interested, it was disappointing. Not hurling myself dramatically off a nearby bridge disappointing, but disappointing nonetheless. But I moved on. You moved on. And now here we are. Don’t worry, though. I’m only Miss Petty Boots in print. I’m not the kind of woman that will saunter up to you and publicly remind you of the past. *A smile may be lovely, but it’s just rows of meaningless teeth. Be prepared to impress me. So keep narrowing your eyes and tilting your head. Maybe you’ll figure it out. There was the very first guy, *Darrell Henson, whose uncanny resemblance to Michael Jackson meant that I was instantly in love. That was in the 5th grade. We, of course, need to mention Steven Morgan, whose hazel eyes and 6th grade charm meant that I was quickly under his spell. Even when he fell in love with the school beauty, Denise Hutchinson, and employed me as his deliverer of love notes to her (not the first or last time that happened, sadly), I somehow never stopped swooning. Yes, folks, we’re talking an interesting journey down Infatuation Highway this Wednesday. Because other than devoting myself to writing, reading, and barely arithmetic, starting from puberty down to a bit into my early 30s (more on that later), my life was dedicated to seriously crushing on boys. As you read above with the first one/blueprint, Darrell, it generally didn’t take much for me to think these boys were the bee’s knees. I mean, come on: he looked like Michael Jackson. In other words: the face. Others were nice, or funny, or listened to my dumb jokes, or whatever. But lest you think there was an open door policy in my heart and these guys came in and out every few weeks, I have to inform you that I was a faithful crusher. Like years with some of them. There was Ricky Sharpes, who held my 12 year-old heart in his hand for a whopping 3 years. From 7th grade to freshman year in high school, I thought he was everything. Those overalls he wore with one strap hanging. (It was the 90s. You loved it, too.) Those chiseled features. That quiet intensity. One day, while hanging out in the mall with my sissy and a friend, imagine my sweet shock when Ricky and his older brother–even handsomer, if you can envision this–passed us by as they walked toward the exit. I mean, seeing him in school was one thing. Randomly seeing him outside of school was worthy of 8 hours of squealing. And if you’re wondering, yes, I thought the entire thing was divinely caused, the two of them simply walking by us. Again, everything. In the 8th grade, inspired by I suppose way too many John Hughes movies, I declared my love to him by way of a note surreptitiously slipped into his locker in between classes. I think it was 10 pages. I basically broke down why he and I were perfect for each other. Nothing came from it. I knew he read it because I would catch him looking at me strangely in our English class. But he seemed a bit more talkative after that unfortunate declaration of love, going as far as defending me when one of my lovely bullies felt the need to try and shame me in front of others in said English class. Yep, I nearly died. By the middle of freshman year, however, it was clear that my beloved Ricky was not a possessor of a working brain. That quiet, squinty-eyed intensity was likely a clue that he was trying to form an actual thought. It was over. But not the crushes. The crushes weren’t over. As soon as I began college, there was John Fontaine: dreamy, looked like Jordan Catalano, and wrote poetry. I was toast…until he asked me whether I used mushrooms for inspiration in my creative writing. Once I confirmed that he wasn’t referring to food (“what, you mean like actual mushrooms?”), it was over and out for that weirdo. True story. On and on it went. As I got older and these eyes began to lose their rose-colored tint, I would tell myself to stop seeking crushes. I was tired of the low that entered after the high of the crush dissipated. I wanted to stop analyzing whether a simple smile or conversation meant more than it actually did. I mean, just because Juan accepted my friend request didn’t mean anything, did it? Did it? But you already know how it all ended. After the bestie stuck me in the arm with a dose of reality, I became (and remain) determined to disallow crushing from popping its pesky head back into my life. Reminiscing is fun and always hilarious, but I want mutuality. The real thing. Crushing on someone who crushes back and wants to take it beyond those heady moments in the beginning. 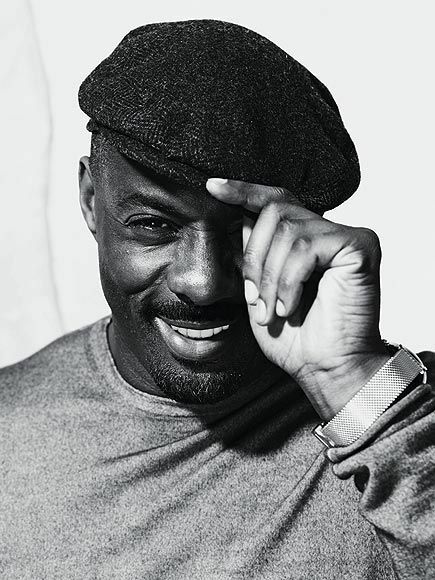 And until that happens, kindly refer to me as Mrs. Idris Elba. *names have been changed, not to protect them boys, but to protect me. This is the Internet, after all. September 16, 2014 Categories Lurve, Me, Words2 Comments on For the Mister. I’m moody. I won’t qualify it with a comment about females and hormones. I was simply born moody. Sometimes it won’t be your fault. Don’t worry. When it is, I’ll try to communicate that. When it’s my fault, I’ll try to communicate that, too. About communication: so, yeah…it’s just gonna get real sometimes. Let’s promise to not let the sun set with you and me committing harm with our words. No matter how sleepy I get (more on that later), I won’t sleep until we fix it. Speaking of things becoming real: sometimes real life pushes me into my tiny cocoon, where stress, bills, and home improvement don’t exist. Gently pull me out if it’s taking too long to return. I’m sleepy all the time. During events, during plane rides, during trips to the grocery store. But if you have to work late, I’ll nap on the couch while I’m waiting for you to get home. I’m also sincerely serious about things that are important to me. I hope you are, too. I’m obsessed with music, poetry, the arts, dancing like a weirdo, history, and old movies. I don’t watch sports. I can’t. It makes my eyes bleed. But I will completely support you in your love or whatever you love, eyes bleeding and all. But you will have to sit next to me at Broadway show. Just saying. I miss my Dad and will often enter that quiet place where I wish he was around to meet you. Or simply wishing that he was around. I’ll come back and appreciate you all the more. About cooking: Let us pray. About prayer: it’ll be the foundation of our relationship. I like surprises. Like tickets to see James Taylor and you somehow get us backstage so he can serenade me with Walking Man surprises. But a nice card and flowers just because it’s Tuesday will result in the same giddiness. If you know how to fix things? Please. 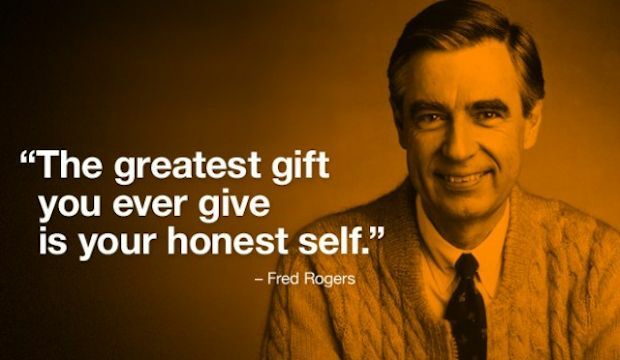 You’re always golden. Always. About money: Let us pray. Seriously, dear, please handle all of that. My past hasn’t always been rosy. Here and there, it’ll be my pleasure to let you in. I hope we have a song. You know, something we hear at the same time and look at each other and understand that the lyrics embody this thing of ours. My mom will love you. Just know that. She will love you. Don’t be alarmed that I’ve seen virtually every TV show ever made. If we play trivia games, my love, use this to your advantage and make sure you’re on my team. Don’t be alarmed by how super competitive I can be. Just whisper “calm down, you weirdo” lovingly in my ear. 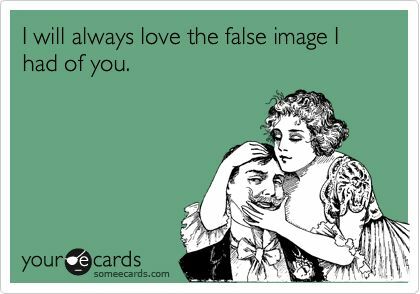 On occasion, I might stare at you in slight shock that you’re actual real and present in my life. 10 years down the road, this may still be happening. I hope our song isn’t Boulevard of Broken Dreams. Laughter: we need to have it, claim it, use it, bellow it, giggle it, chuckle it, screech it. One day you will read this blog entry and you will hopefully smile. We don’t have to go to every party, every gathering, every affair that we’re invited to. I like being at home. But if we’re in a room together and you feel me leaning back into you, it’s because there will never be a sweeter feeling than being in a room and knowing that you’re just a few inches away.